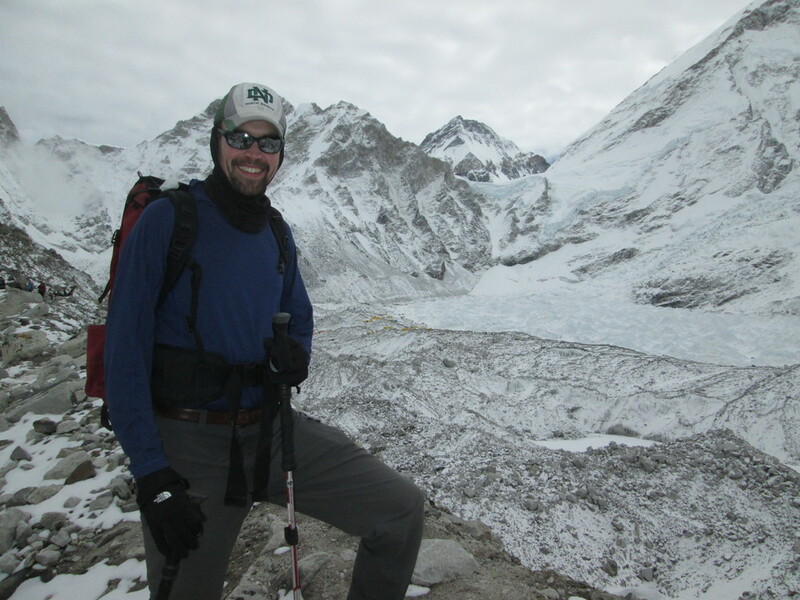 See below for Andrew's final dispatch describing his trek down from Mt. Everest Base Camp, through damaged villages and finally back to the United States.On behalf of Andrew and the entire YFU community, a sincere thank you for your support of Andrew and our mission to advance intercultural understanding, mutual respect and social responsibility through educational exchanges for youth, families and communities. On Wednesday (5/6) I arrived safely in Philadelphia. 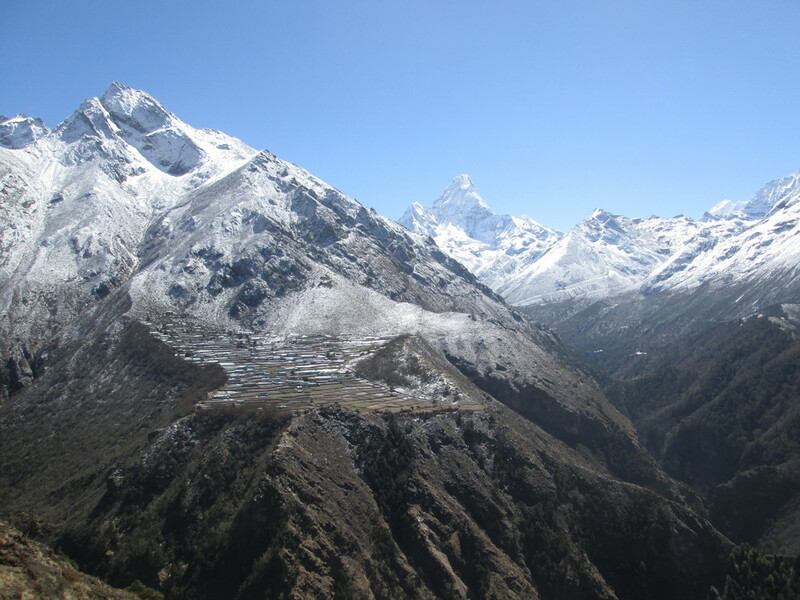 Last Wednesday (4/29), we departed Everest Base Camp. Walking down the Khumbu Valley and through the streets of Nepal revealed even more devastation than we had seen at Base Camp. 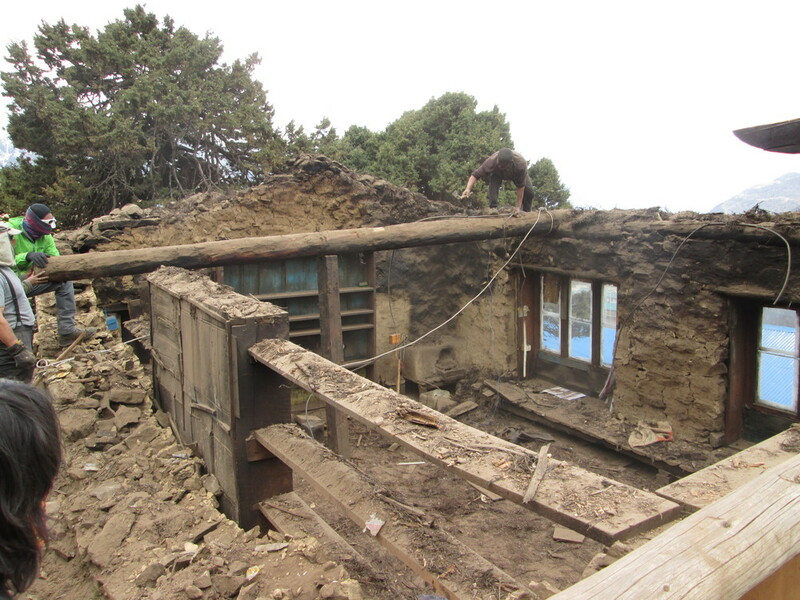 Luckily, we were able to spend two days helping Sherpa in the village of Phortse with their reconstruction efforts. Thanks to all who made this expedition and my safe return possible, particularly Scheels Sports, Casual Adventure, Happy Harry’s and Ag Warehouse for their generous donations to YFU. May our desire to understand and support diverse communities around the world never wane. Last Tuesday, our expedition prepared to depart as planned. Wednesday brought good hiking weather, so we descended ~14 miles and 3,000’ to the village of Pheriche. 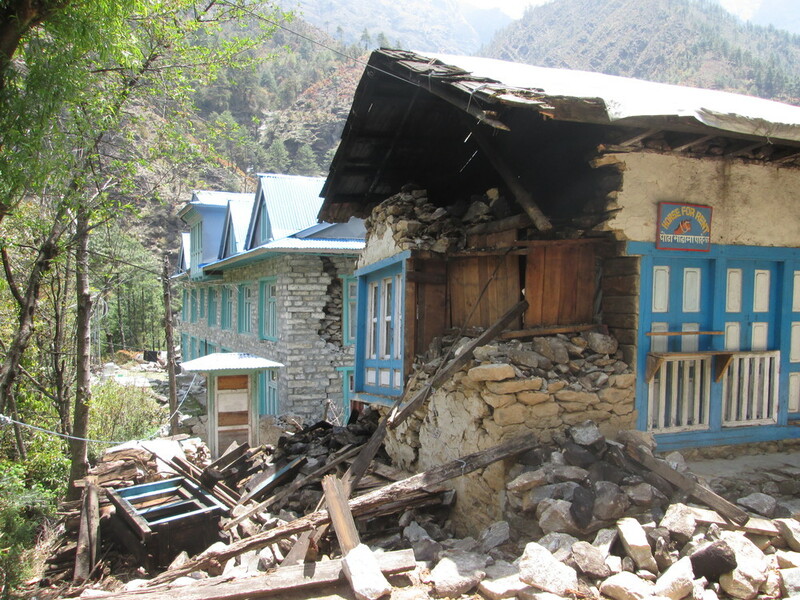 On our way down the valley, we camped (rather than stay in Sherpa teahouses) due to the widespread structural damage caused by the earthquake. In Pheriche I finally felt safe, and I slept harder than I had for many days. On Thursday we moved down to the village of Phortse. We had heard that there was a 1,000+ person line at the tiny Khumbu airstrip at Lukla, and rather than rush down the Valley to join the queue, we figured it made more sense to stop in the hometown of many of our Sherpa team members to see if we could be of use. For two days, we helped community members demolish damaged structures, so that they would have a foundation for reconstruction. It felt wonderful to be able to help, and by the time we left, there were multiple families who insisted that there was nothing more that we could do until they got carpenters and electricians in. Sunday we slept in Namche Bazaar (~12,000’), and on Monday we hiked ~12 miles down to the Lukla air strip at ~9,000’. The paths / roads were desolate compared to our hike in. Gone were the tourists, trekkers, and yak trains bearing Western luggage. The half dozen or so trekkers we did see over the 5 day descent seemed very out of place. Earthquake damage was everywhere. The worst hit buildings seemed to be the older ones, which usually had rounder stones held together by less sophisticated mortar. We saw far less damage in newer buildings, in which the masonry seemed much tighter. Our morale was high, but folks seemed to be thinking increasingly about home. By the time we landed in Katmandu early Tuesday morning, people headed straight for showers, shaves and beds. 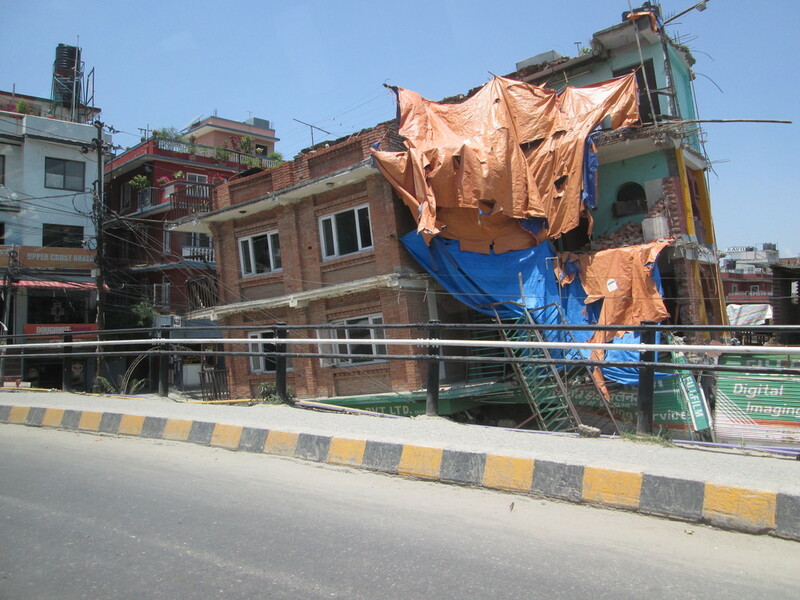 We knew that it would be more difficult for us to plug into relief efforts in Katmandu than it was in the rural villages, and so many of us flew out soon after arriving in the capital. I left just 6 hours after I arrived, and I was on a flight with dozens of Polish and British search and rescue specialists. They told me that the initial crisis had passed and that they were leaving because the next task—restoring water and power to neighborhoods that had lost it—was in the government’s hand. I was disheartened to learn that the government had created some bottlenecks by attempting to tax donated relief supplies and by demanding that all supplies go through a slow customs process before they get to the people, but I was encouraged to learn how many international crisis responders had made it to Katmandu within the first twelve hours after the earthquake. The death toll continues to climb, but it seems that the worst has passed. On Wednesday morning, I was positively beaming as I watched the patriotic video on loop above the US Immigration Desk at Philadelphia Airport, and I told the Customs Officer I had never been so happy to pass through international arrivals. When he found out where I had been and what I had been doing, he thanked me for doing what I could to help out. I told him that I thought he—and many others—would have done the same thing. If he had seen someone struggling in the cold in a dangerous environment, I bet he would have looked for a blanket or sleeping bag to help the person cover him or herself. If he had seen a place with more injured people than medical professionals, I bet he would have tried to help people adjust their positions or fix their bandages. And if he had seen a dining room with blood-spattered walls, I bet he would have tried to help clean it before people used it again. None of it was rocket science, after all, and the necessity of action was clear. The only thing it took was being able to ask myself what I would hope someone else would do if I was the one suffering. This is something I have been trying to do ever since my exchange year from Grand Forks Central High School over to Germany at age 16, and it is something I hope more and more young people will learn to do through Youth For Understanding and its peers. And that is why I am so grateful to all of you for supporting YFU—particularly Scheels Sports, Casual Adventure, Happy Harry’s, and Ag Warehouse—the principle supporters of YFU on behalf of this expedition. A note from YFU USA President & CEO Michael HillThis is one of my favorite times each year: the time when we get ready to receive the list of students who want to come on exchange to the United States through a YFU program. At YFU USA, we are the proud recipients of close to 2,000 students each year, who come from more than 50 countries and who express hundreds of cultures. While many of those students have already signed up to make the world their home, there is still time to take this adventure of a lifetime! Why might you want to do that? The world is becoming an increasingly connected place, and your future success will depend on your ability to adapt to the world and its various peoples. Coming to the US will give you a chance to experience a typical American home, to make new friendships that will last a lifetime, and to experience up close what makes the US such a special place. But you’ll also have a chance to share your culture. In YFU communities across the nation, we have host families and schools who are interested in learning from you. It changed my life and gave me a second family and group of friends. I will never see myself just as a citizen of my own country again; I now belong to two cultures and two nations. When I got ready to apply to college, my exchange year set me apart from others. Not only did the colleges and universities know that I could handle anything that came my way, they knew I had already proven I had the curiosity and drive to succeed. I still keep in touch with my host family. They visit me, and I still visit them. The world is truly my home now.